A little over a month ago, we were contacted by a customer asking if we would be able to refurbish their Aleutian Pack purchased July 2013. We obliged the request and awaited the bags arrival to our studio. 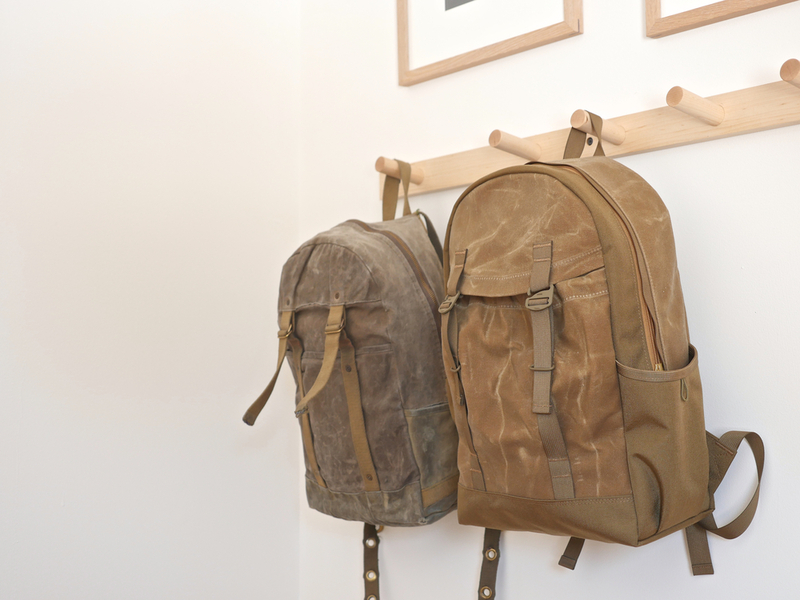 The Aleutian Pack made its first appearance in April 2012. It was conceived of as a grown-up version of the classic "tombstone" backpack silhouette, with a few added features. Quality materials, unique details and enough space for the basics (and then some) have made it my personal favorite bag from the beginning. The bag arrived about a month after our initial conversation with its owner. We knew it was used but we were still surprised just how much use the bag has received over the past 2+ years. Both Leah and I immediately were thinking the same thing: we needed to keep this bag for our permanent collection. Not only is the bag in question a beautiful object, it also provides insight into how our design holds up to intense usage, and also how it could be improved upon. We voiced our request to modify the initial agreement of repair & return, with an offer to instead arrange an exchange. Our customer requested that we make a few modifications to our new Aleutian design to make it more aesthetically similar with the original. We couldn't say no.